Hey, North Texas Master Naturalists —did you know our Junior Master Naturalist program is growing? It has quadrupled in size! In September 2015 the NTMNs launched the Junior Master Naturalist project with the Perot Museum of Nature and Science. Each month Jessica Crowley, the Perot’s Lead Naturalist Educator and a graduate of the NTMN 2012 class, teaches 4th-6th grade students with hands-on activities in the classroom, assisted by our NTMN volunteers. Then each class session is followed by an outdoor field trip where the students apply their skills in nature. Then, in 2017, Crowley expanded the program to include homeschoolers. This class follows the same schedule and curriculum with Geology in October to Herpetology in May. “Teaching Junior Master Naturalists has given me the opportunity to inspire the next generation to appreciate nature and hopefully protect our natural environment for the future,” said Tim Brys, Perot’s Teaching Collection Coordinator and an Indian Trails Master Naturalist. During 2018 there have been two significant changes to the program. First, at the Perot Museum a Level 2 Junior Master Naturalist program has been added. The classes are more in depth, followed by a field trip. Recently Sam Kieschnick, our NTMN Chapter Advisor and Urban Wildlife Biologist with Texas Parks and Wildlife, taught students about Citizen Science and using iNaturalist as a tool. “With this program we went to a more advanced level to share our discoveries with other naturalists and scientists,” Kieschnick said. 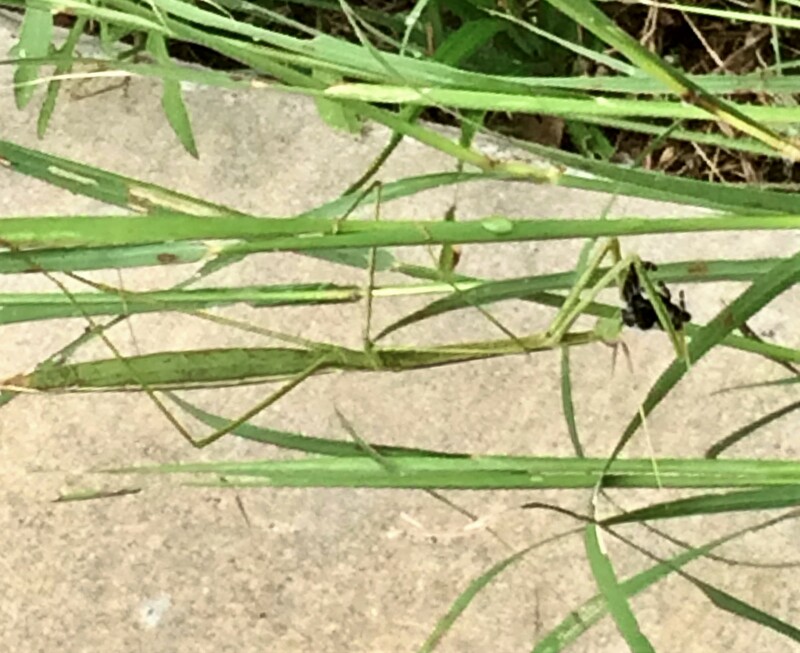 During Level 2’s field trip to Spring Creek Preserve, one of the students’ finds was a Northern Stick Mantis or Brunner’s Mantis (pictured below). It’s actually eating a spider! Second, the Junior Master Naturalist program has expanded to add a North Dallas County campus at Coppell’s Biodiversity Education Center. 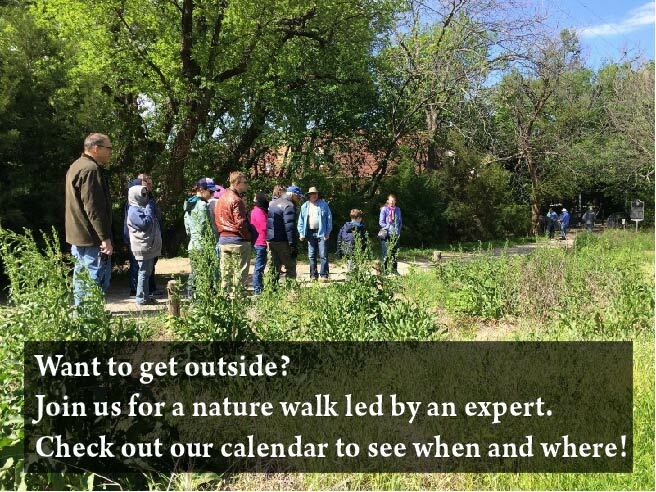 “The Junior Master Naturalist program is a great opportunity for young people to develop a deeper appreciation and understanding of North Texas ecosystems through engaging lessons and field trip activities. 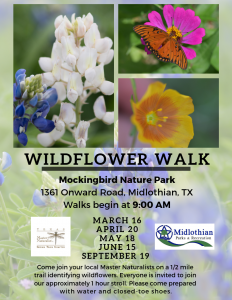 Inspired by Texas Master Naturalist volunteers, the Biodiversity Education Center at Coppell Nature Park is excited to offer the Junior Master Naturalist program to residents in the northern DFW metroplex. This is a great example of volunteers partnering with the City to offer programs that the community values. Helping young people gain an appreciation for nature is an invaluable contribution to developing the next generation of responsible environmental stewards.” said Cynthia Contreras, Naturalist for the City of Coppell and a Cross Timbers Master Naturalist. However, pictures are worth a thousand words. So, take time to look at our students and the fun they are having! What a great program, and it is touching many young lives. NTMNs—Thank you so much for making the Junior Master Naturalist program a growing success!